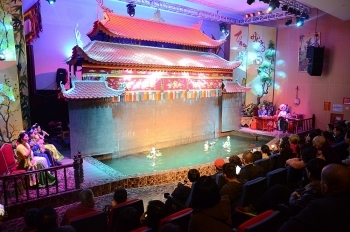 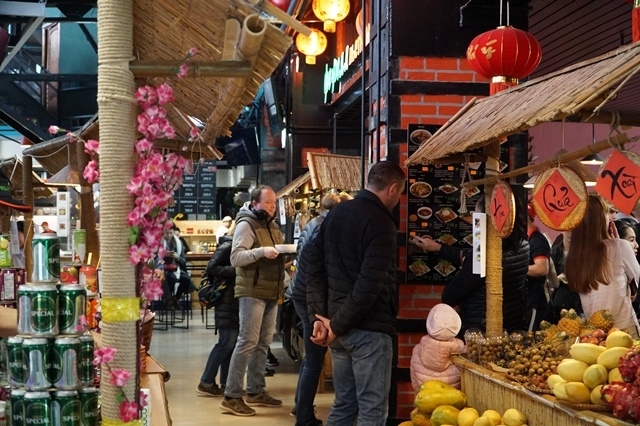 A program themed ‘Vietnamese cuisine and culture’ was held in Moscow, Russia, from April 12-14, as part of activities to celebrate the Hung Kings Temple Festival. 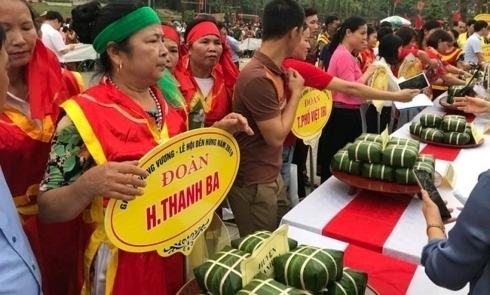 A Banh Chung (square glutinous rice cake) and Banh Giay (glutinous rice cake) making contest was launched at the Hung Kings Temple historical relic site in the northern province of Phu Tho on April 12, as part of the Hung Kings Temple Festival 2019. 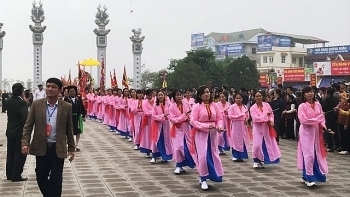 (VEN) - Ha Long Bay is known the world over for its thousands of towering limestone islands topped by rainforests and cruises offered on its emerald waters. 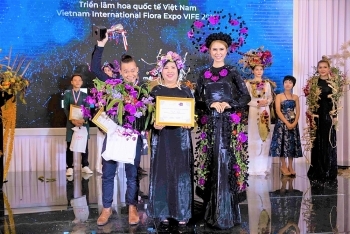 (VEN) - The Vietnam International Flora Expo (VIFE) 2019 not only attracted flora artists from around the world, it also showed Vietnamese peers are catching up with global standards and trends. 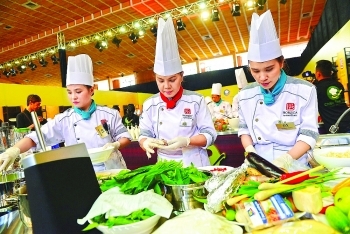 (VEN) - The DPRK-US summit in Hanoi drew huge international media interest, nurtured by free meals, for nearly 3,000 reporters from 40 countries sent to cover the historic event. 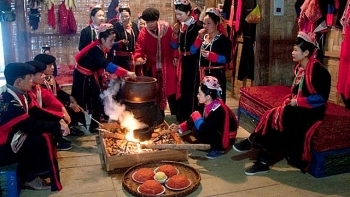 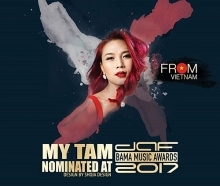 A program entitled ‘Colours of Vietnamese ethnic groups’ will take place throughout this April at the Vietnam National Village for Ethnic Culture and Tourism, in the Dong Mo tourism area of Son Tay town, Hanoi. 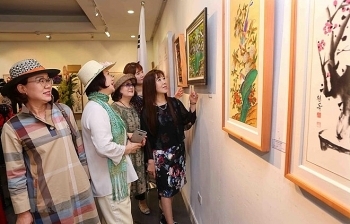 The Vietnam Fine Arts Association (VFAA) and the KIRO Art Association of the Republic of Korea (RoK) held the first Vietnam-RoK international fine arts exhibition in Hanoi on March 27. 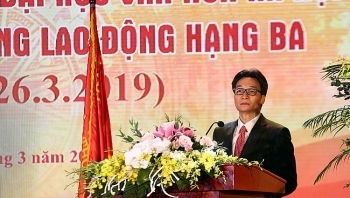 Culture will inspire and multiply creative potential and mobilize great endogenous power in humans, contributing to more rapid and sustainable development in the country. 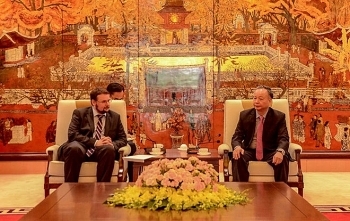 Vice Chairman of the Hanoi People’s Committee Nguyen Van Suu had a working session with visiting Deputy Minister of State at the Hungary’s Ministry of Foreign Affairs and Trade Bezetei Akos on March 22 to exchange ideas about getting a space for a cultural and community center in the Vietnamese capital. 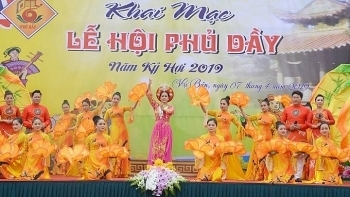 The annual Tay Thien Festival kicked off in Tam Dao district, Vinh Phuc province on March 20 (the fifteen day of the second lunar month), attracting thousands of visitors and local residents. 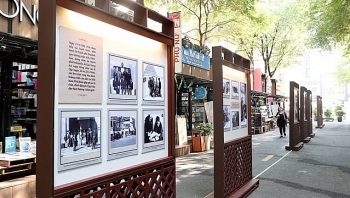 A photo exhibition on the first National Assembly (NA) delegation’s friendly visit to France in 1946 opened on Nguyen Van Binh Book Street in District 1, Ho Chi Minh City, on March 18.